We hate spam and will never sell, rent or in any way distribute your private information. Tracey Walker, Lawrence Tam, Rob Fore, Toby & Layla -They Did WHAT? NO! I am sending this out on my blog because it is something I have to contend with daily. Charlie Page has written an excellent article that I am happy to pass along to others. If you are feeling overwhelmed with information or not sure what to do with the programs you have or are considering – listen up……..
………There is one question I asked everyone, and their answers surprised me. It’s understandable really. There is SO much information out there. From free information on blogs and in articles to courses ranging from $27 to $7500 (or more) there is no lack of information. So why isn’t everyone succeeding online? There are many reasons for this. We live in the most distracted society in history. Where I live we are actually passing laws to stop people from texting while they drive! How crazy is it that we have to make a law to stop people from texting while they drive a car or truck? Doesn’t common sense say that no one should text and drive at the same time? In addition, we are led to believe that “multitasking” will help us get more done when in fact multitasking is often part of the problem. It’s simply not in our DNA to read email, talk on the phone, and visit websites all at the same time. Something is going to suffer quality-wise when we try to do many things at once. So what is the answer? How can we get our focus back? I believe there are five things you can do beginning today that will help. I’ve talked with more people than I can count who have tried it all. Solo ads, pay per click, blogging, getting links, posting endless classifieds … and none of it is working. One reason for this is that they are not spending enough time learning how to do one thing well before moving on to other things. This too is understandable. Sales letters full of hype lead us to believe we can make $100K in 90 days no matter where we are now or that “three clicks” is all it takes. That’s bull of course, but it sure sells. You know in your heart there is no quick fix “add water and stir” solution to making money online just like there is no real get-rich-quick methods that work offline. Focus – Choose one method and master it. That’s what I did with article marketing when I joined the Directory of Ezines. That’s what Alex Mandossian did with teleseminars. That’s what Jeff Johnson did with affiliate marketing and what Jeff Walker did with product launches and Jimmy Brown did with small reports and fixed term memberships. In the story of every successful person there is a moment where that person is tempted to move away from what made them successful and “branch out” into new things. Resist that urge with all your might. Stick with the marketing method you choose long enough to master it. There is no “marketing gene” you lack — if I can do this you can do this. The fact is, no one can do everything well. It takes focus and commitment to hang in there long enough to learn the skills needed to succeed online. You wouldn’t expect to open a restaurant and be successful if you didn’t know how to cook. You would need recipes and skills and practice. And the same thing applies online. You need a recipe (a plan) and some skills and some practice in order to succeed. But if you stick with it you will succeed and then freedom will be yours. So give yourself time to succeed, because it simply takes time. The next key is to create what I call “focus blocks”. 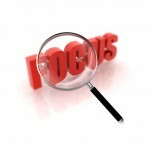 Focus blocks are simply short periods of time where you focus in like a laser on one task. Sounds easy but it’s not. When I say “focus” I mean that the task at hand is the only thing you are doing. The only thing you are thinking about. The only thing you are talking about, even in your head. Extreme focus creates extreme results. I suggest starting with short bursts. Start with 5 minutes and work up. Eventually you will be able to completely focus for an hour or more. Another tip – do it every work day. Like any muscle your ability to focus needs to be exercised. Realize going in that this won’t be easy and you will “fail your way to success”. In other words, the first time you try you might get a rush of thoughts about things you need to do, or want to be doing, instead of the focus you seek. That’s okay, in the next section I’ll show you what to do with those thoughts. For now, focus completely on one task for five minutes and get as much done as you can, even if the doing is made up of thinking it through. And expect to be a little tired when you finish. If you are like most people, the moment you try to focus is the moment the flood of thoughts comes rushing in. The million and one things you need to do present themselves. You recall a conversation from earlier in the day. You daydream about what it’s going to be like when you make it big online! All perfectly normal. Happens to us all. Here are three ways to combat distractions during your focus blocks. Put the world on notice – Let everyone who might interrupt you know that you simply are not available for the next period of time. Unless it’s a true emergency those who care about you should be able to respect this boundary. Close extra programs – Close everything, and I do mean everything, except what you are working on. As I type this I have two computers and two phones on my desk. All programs are off and all phones forwarded while I write. The biggest offenders are instant messages and email so be sure they are closed. Write down thoughts – Thoughts will often drift into your mind (or even flood!) as you are trying to focus. When they do, take a moment to write them down briefly. Writing them down gets those out of your head and onto a reliable retrieval device (paper, word processor, Evernote) so you can relax and not worry you will forget anything. HINT: If you want true focus power check your email only once a day and use a private address instead of one address for all email. Incredibly freeing! Once you have identified what you intend to do (master social media for example) it’s time to assemble the tools you will need. And here’s where the temptation and confusion can come in. First, please understand that you probably own everything you need right now. While there are a million cool things we can buy online the odds are that using what you already own will do the trick. I’ve had literally hundreds of members reply “I already own that” when I would suggest a book by Perry Marshall or a course by Jimmy Brown. I understand all too well — I used to buy everything too. Aweber is a good example. SO many people have an Aweber account but are not building their list and profiting from simple follow up email marketing. It’s a shame too because follow up can set you free! So here are the steps to make sure you have what you need and use what you have. Make a list of the tools you own now – The key here is to make a categorized list of the software, books and memberships you own now. Just make a list on a sheet of paper or your computer of what you have already bought. I like to categorize this as books, software, memberships, PL rights, etc. Do whatever works for you. Choose what gets you toward your goal – Separate out the tools and resources you have that are about the topic you intend to focus on. If you intend to become a master of article marketing, for example, you don’t need to review or access information about pay per click just now. I suggest actually moving the files on your computer to a new folder with the name of your new focus. That way everything is in one container. Review the list – Let’s say your focus is going to be article marketing and that you have found 4 books and 2 memberships that teach article marketing. It’s time to scan each and decide which one you want to use. WARNING: Thinking that you can blend the best from many resources is logical but can lead to confusion. Pick the one resource you feel is the best and fully use that first. Use one product fully – Once you have chosen your top resource, get into it and study like your life depended on it. Don’t be casual. Don’t think about anything else. Imagine you NEED to know everything you can know about this topic and really dig deep. You know already that the Internet is full of shiny objects. 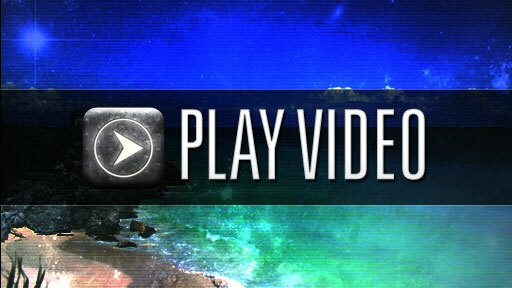 Videos that promise easy riches. Sales letters that make it seem so easy. And those blasted Clickbank screenshots (many are fake) showing what you wish your Clickbank account looked like. Here’s the hard part — it’s time to say no to the hype. I know you know this but it bears repeating again and again. Your parents were right when they said that “things that sound too good to be true usually are.” Common sense alone tells us that the “three click” “no work” “newbie perfect” solutions aren’t real but we keep on buying. We hope against hope that this time it will work. This time we will get the help we need. This time it will be different. While hope is good (wonderful in fact and necessary) the fact is that nothing replaces focus and good old fashioned work. So there you have it — five ways to get your focus back and keep it. If you do these things every day you will experience a freedom you can only now imagine, and freedom is a beautiful thing indeed! P.S. Please leave a comment below or share this post with others. We all need more focus! Happily married for 38 years, Charlie is the dad to two wonderful daughters. He is the author of 10 books on Internet marketing and owner of The Directory of Ezines, Follow Up Selling Systems and other membership sites.